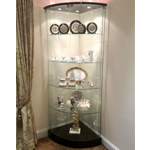 If you can’t find the glass display case to meet your exact requirements from our range of standard size case, we can supply bespoke glass cabinets to fit your exact needs. We specialise in custom built cabinets to suit your space. We can work with you to create a perfect display for reception areas, museums, visitor centres, shops and retail outlets. 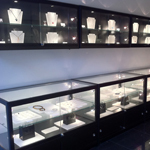 Specialist Glass - We can provide laminated and low reflection glass on all glass display cabinets and counters. 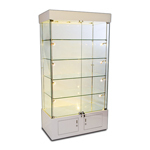 Or protect items from the damage of sunlight with UV Filtering glass on display cases. 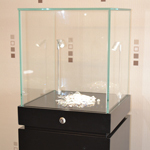 Extra Security –High security locks are available for high value items. Audible warning security systems, glass break sensors and internal alarm systems to alert intrusion can also provide extra security for valuable items on display. Environment Control - Humidity control, dust filters and positive pressure to protect displayed items that can be affected by a poor environment. Additional Lighting – Extra lighting, LED lighting and fibre optic lighting for specific lighting requirements. In order to provide a quotation for bespoke cabinets we need specific information on your exact requirements. If you have seen a cabinet in our range, but require additional features added or different dimensions, please provide a product code. •	Any special requirements i.e. 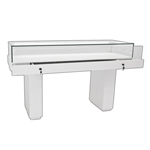 laminated glass, high security locks etc. Please download and complete our Bespoke Cabinet request form, and email it to enquiries@podweb.co.uk, or fax to 01933 411906.